I have successfully treated rotatory cuff injuries with acupuncture in many patients. 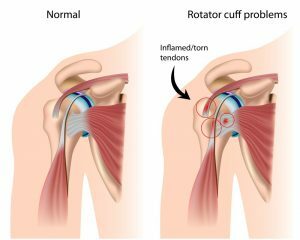 What is the rotator cuff tendonitis? The rotator cuff consists of four muscles that connect the shoulder to the humerus of the arm: the suprspinatus, infraspinatus, teres minor, and subscapularis muscle. These muscles stabilize the arm while it moves. Rotator cuff tendinitis occurs when there is inflammation or a tear in the tendons of the rotator cuff. Injuries often occur from repetitive movements like throwing a ball. It is also possible to injury the rotator cuff through injuries such as falling or lifting something too heavy. After the injury, one may develop pain, weakness, difficultly moving the arm, and irritation. If left untreated, it may become worse. Due to lack of motion of the arm, the arm may lose muscles mass and develop long term weakness. Trigger points are areas within muscles and connective tissue that become tightened and hyper reactive. They become so tight that the trigger points pull on other muscles and structures around the the muscles leading to pain and dysfunction. Acupuncture is a great method for reducing the trigger points within the rotatory cuff to help increase circulation and stimulate healing. Acupuncture works to help heal rotator cuff injuries by increasing the circulation to the area and decreasing inflammation in the tendons. Acupuncture also works to reduce pain and inflammation through regulating neural pain pathways, stimulating the release of natural pain relievers in the body, such as opioids, as well as regulating pain relieving opioid receptors. [4,7] In addition, research has shown that acupuncture stimulates the growth of muscle tissue which can help in healing of the injury. I have significant experience treating rotator cuff injuries with acupuncture. My method considers both your constitutional state of health as well as muscle tension and development of trigger points in the areas. The acupuncture treatment is customized to each individual by addressing imbalances within the muscles, connective tissues, and acupuncture channels of the rotator cuff. If muscle tension and trigger points are the primary issue, the local trigger points will need to be addressed. Active trigger points are areas of tenderness and stress in the muscle. Often with chronic injuries or joints that have been challenging to heal we will need not only to release the trigger points but also improve the energetic levels of the body. This may mean that there is an underlying weakness causing the inability to heal. If this is the case then acupuncture will focus on increasing the amount of energy in the body. Electroacupuncture is particularly effective for rotator cuff injuries to speed healing and reduce inflammation. Tui na is also an effective method to address connective tissue injuries. A study in the journal Pain showed acupuncture to reduce pain in athletes with rotator cuff injuries. 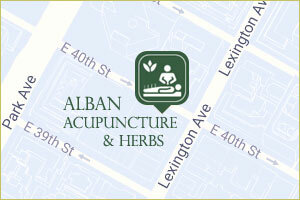 52 people were enrolled and received acupuncture 2 times per week for 4 weeks. The acupuncture group’s pain was reduced much more than the placebo acupuncture group. Rueda Garrido JC, Vas J, Lopez DR. Acupuncture treatment of shoulder impingement syndrome: A randomized controlled trial. Complement Ther Med.2016;25:92-97; PMID: 27062955. Lathia AT, Jung SM, Chen LX. Efficacy of acupuncture as a treatment for chronic shoulder pain. J Altern Complement Med.2009;15(6):613-618; PMID: 19489707. Staud R. Mechanisms of acupuncture analgesia: effective therapy for musculoskeletal pain? Curr Rheumatol Rep.2007;9(6):473-481; PMID: 18177601. Napadow V, Ahn A, Longhurst J, et al. The status and future of acupuncture mechanism research. J Altern Complement Med.2008;14(7):861-869; PMID: 18803495. Osborne NJ, Gatt IT. Management of shoulder injuries using dry needling in elite volleyball players. Acupunct Med.2010;28(1):42-45; PMID: 20351377. Audette JF, Ryan AH. The role of acupuncture in pain management. Phys Med Rehabil Clin N Am.2004;15(4):749-772, v; PMID: 15458750. Zhang R, Lao L, Ren K, et al. Mechanisms of acupuncture-electroacupuncture on persistent pain. Anesthesiology.2014;120(2):482-503; PMID: 24322588. Kleinhenz J, Streitberger K, Windeler J, et al. Randomised clinical trial comparing the effects of acupuncture and a newly designed placebo needle in rotator cuff tendinitis. Pain.1999;83(2):235-241; PMID: 10534595.